Belmont’s Department of Art recently hosted a Photography Master Class, taught by Paul Seawright, Dean of Arts, Humanities and Social Sciences at Ulster University in Belfast, Ireland. Seawright has been called the preeminent war photographer of our time and his work has been collected by major museums and galleries throughout the world including the Tate in London, The Museum of Contemporary Art Strasbourg and The Museum of Contemporary Art Leipzig, among many others. Throughout the course, Seawright and his students created “Nashville: the Real 615,” an initiative that celebrates the twin cities of Belfast and Nashville and is the first in a number of planned student and staff exchanges among the cities. Copies of the publication will be shared around the Nashville community. A twin publication will be created during a second project hosted at Ulster. 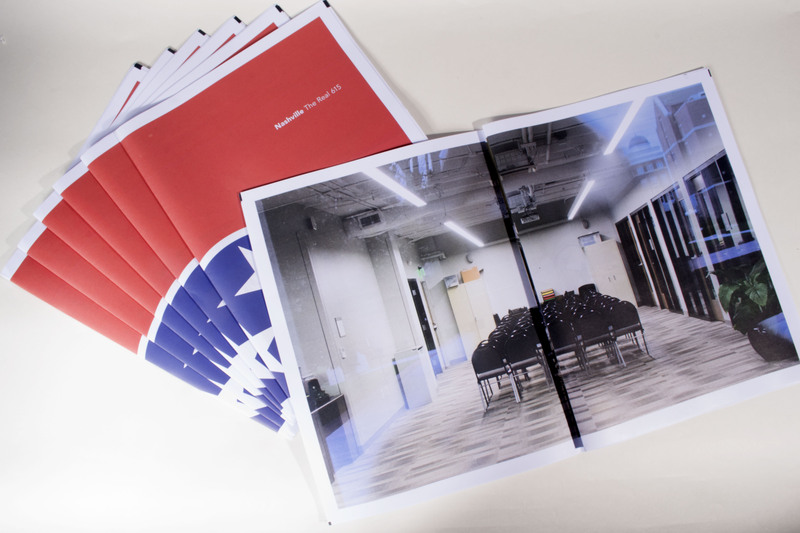 When conceiving a Nashville project, the students kept returning to the concept of the “real Nashville,” an attempt to avoided the more ‘cliched’ pieces of the city that are often covered. The team wanted to examine the issues seen throughout the city, across campuses, in industries and more. As a result of the class, Ulster will welcome the Art Department’s study abroad courses this summer by providing a workshop and reception at Belfast City Hall that will include a contingent from another Belfast Twin City in China. Additionally, the Department is exploring future opportunities to partner with Ulster in the future.